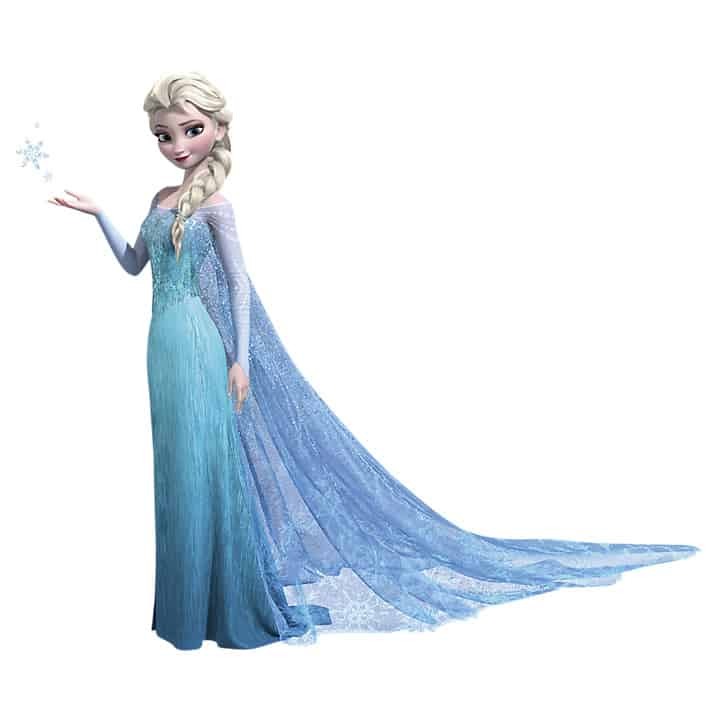 Frozen has become a Disney phenomenon! Such a hugely popular film – but it’s not hard to see why. It has some wonderfully memorable characters, an interesting story and a brilliant catchy soundtrack! I’ve seen it multiple times now and still enjoy it every time. 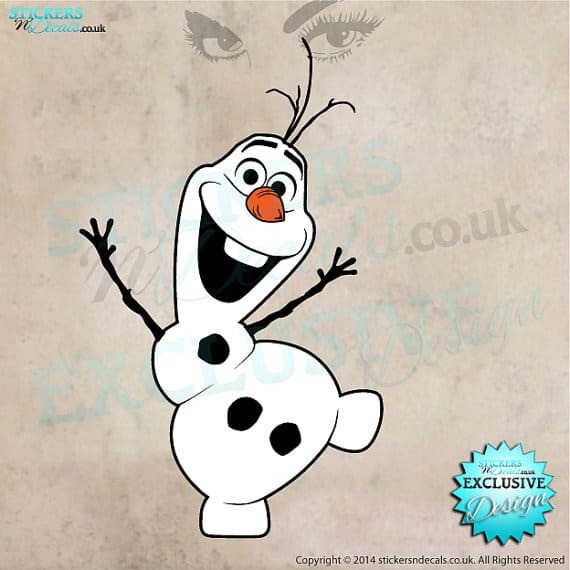 Here are some great Frozen Wall Stickers to buy your Frozen fans! 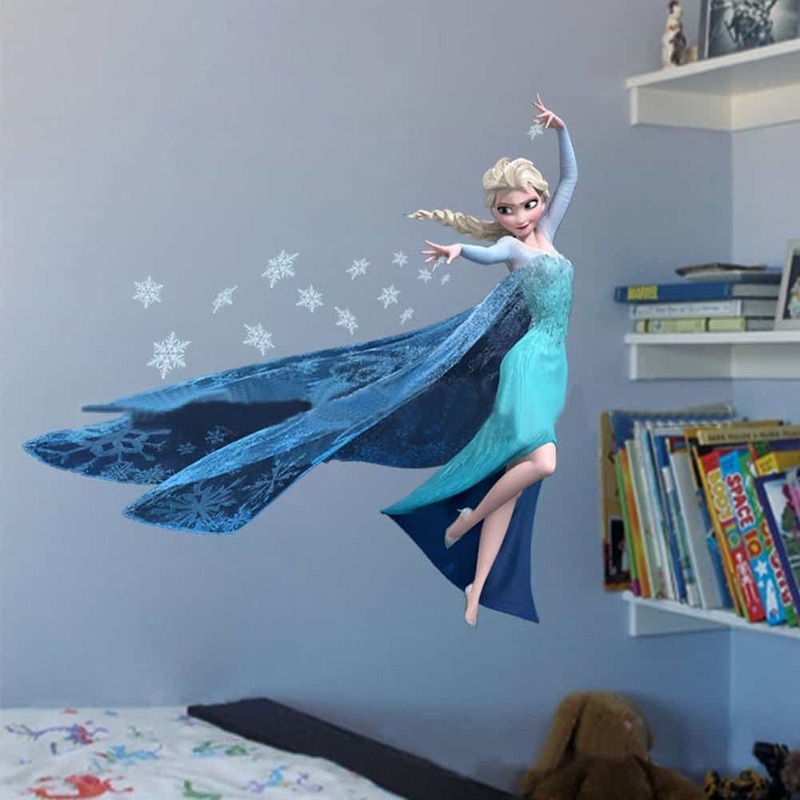 A stunning giant Elsa wall sticker, with glitter! Perfect for a Frozen themed bedroom. 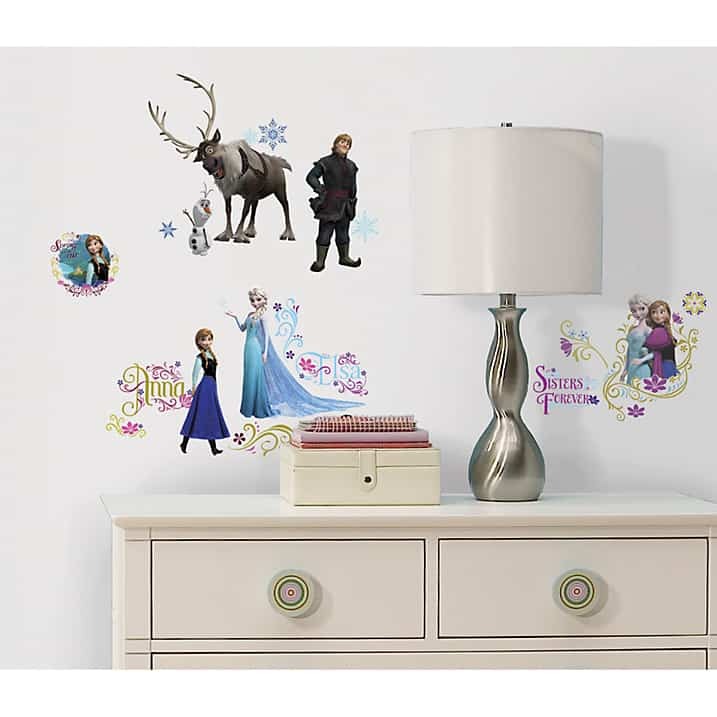 Anna and her other “Frozen” pals in a Frozen wall sticker set. Simple to peel and stick! 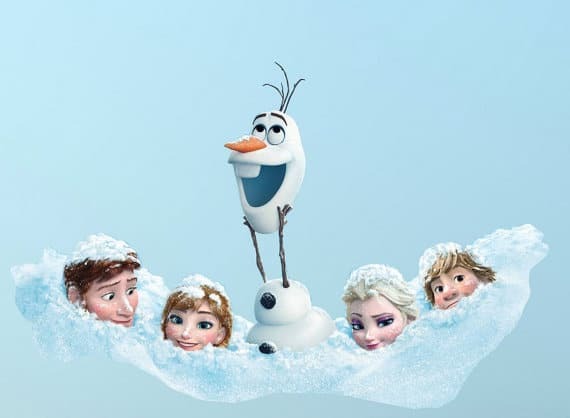 Your child can create their own Frozen scene. 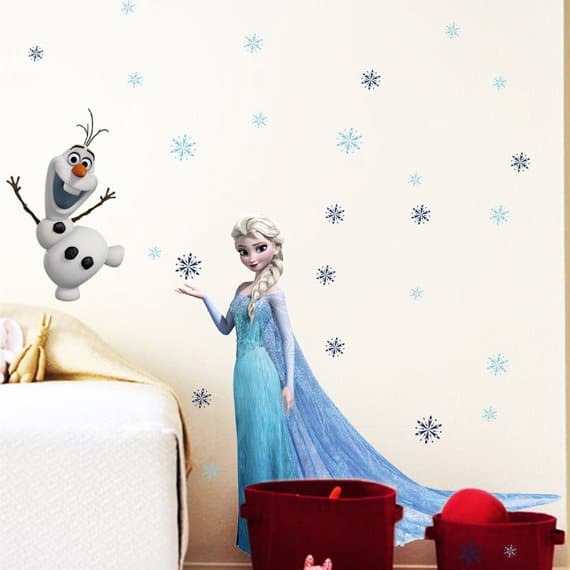 A low cost Frozen wall sticker, simple to peel and stick! Easy to apply and also reusable. 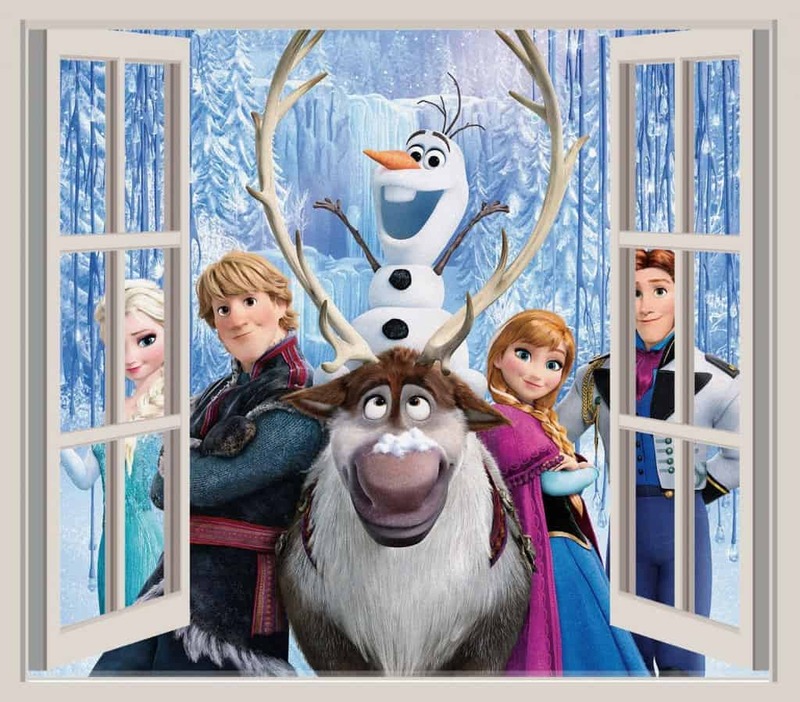 This Frozen wall sticker looks lovely with the open-window effect. Elsa with the loveable Olaf and surrounding snowflakes! Easy to reuse and reapply without a problem. Dimensions are 45 x 65 cm. 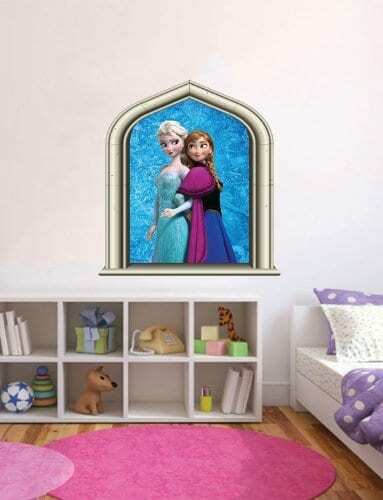 A really pretty window design wall sticker, featuring Elsa and Anna. Easy to move and to also reuse. 3 different sizes available: Medium 29cm x 48cm, Large 35.6cm x 59cm, X-Large 59cm x 97.7cm. They also do custom made orders and designs. I adore this wall sticker, It looks as though they’re in a snow cloud! They also show some lovely expressions. Made from quality vinyl. 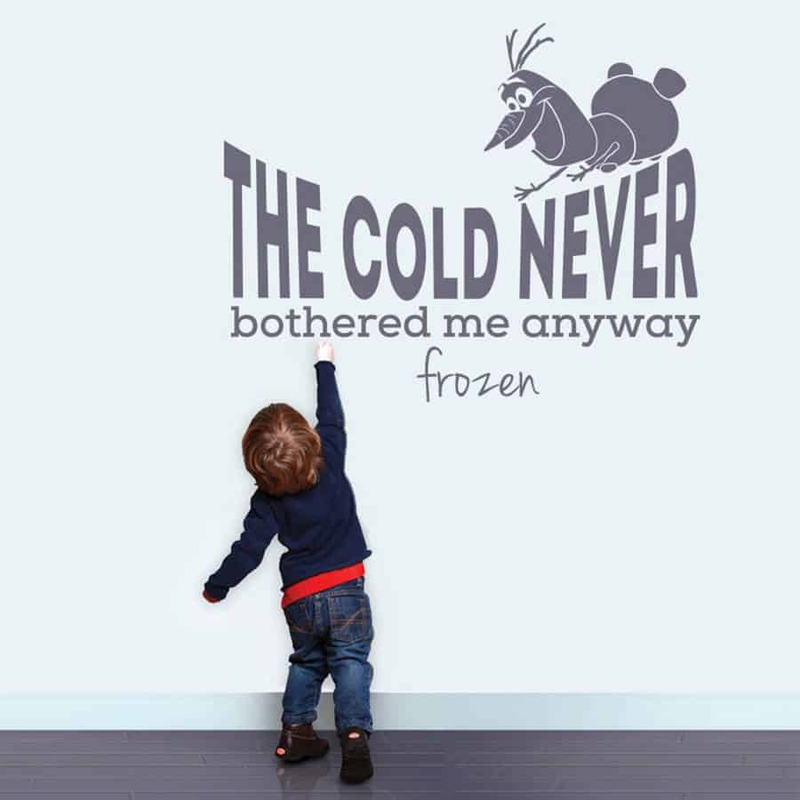 “The Cold Never Bothered Me Anyway” Frozen Wall sticker – song quote! Multiple colours and sizes available. 27 different colours are available and four sizes. Dimensions Small W36.5 x H29cm, Medium W73 x H58cm, Large W109 x H87cm, Extra Large W145.5 x H116cm. 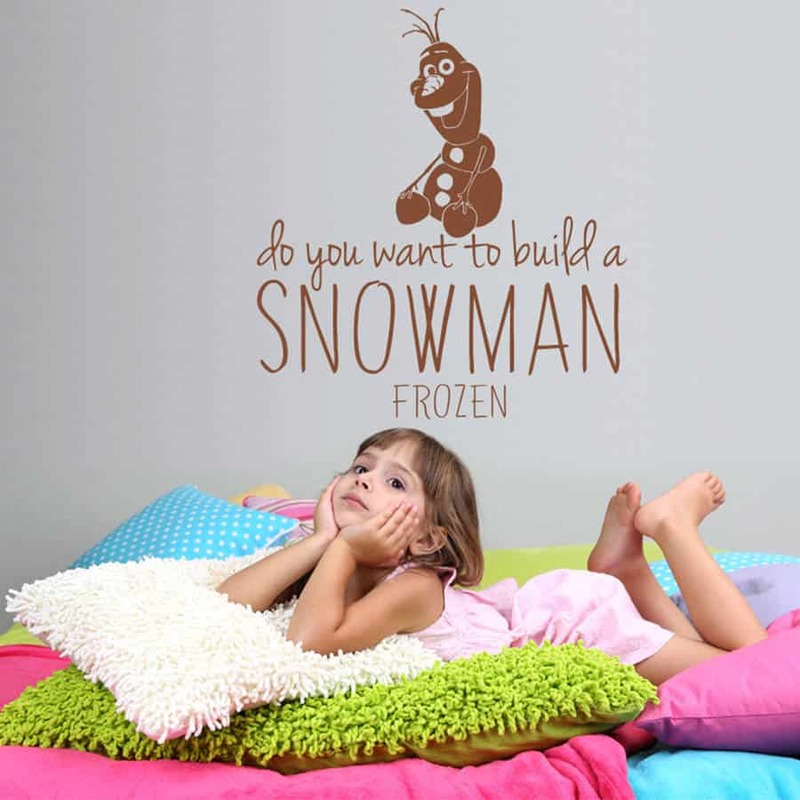 “Do you want to build a snowman” frozen wall sticker – a quote from one of the songs! You can personalise it by choosing from a wide selection of colours and several size options. Four different sizes. Dimensions: Small W29 x H32.5cm, Medium W58 x H65cm, Large W87 x H97.5cm, Extra Large W116 x H130cm. 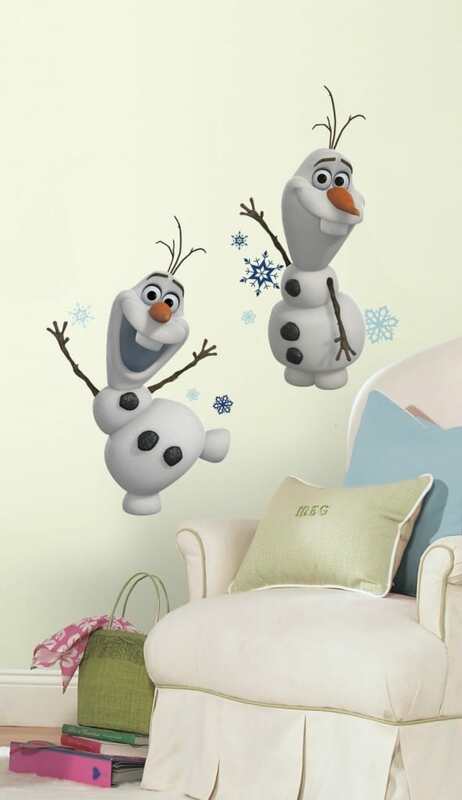 Some very cheerful Olaf wall stickers – perfect for an Olaf fan! 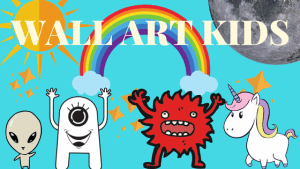 If you enjoyed this post, you may also find useful…..